NEW! 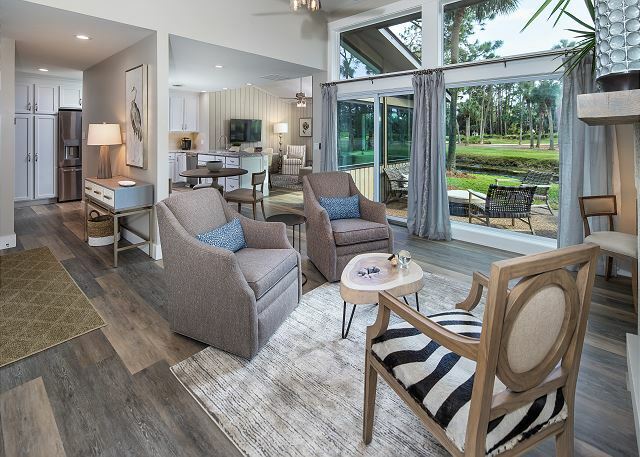 Welcome to the BESTNEST at 126 Lawton Villas in Sea Pines. 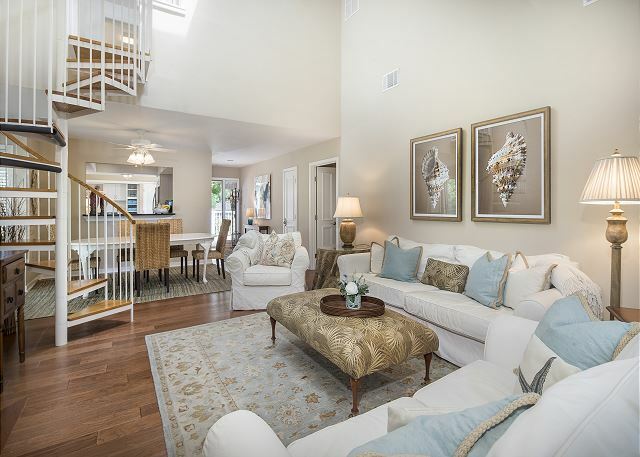 Sophisticated style abounds in this one-level, 2 BR/ 2 BA villa. Onsite pool, Weber gas grill, complimentary Netflix. Gorgeous water and golf view. Enjoy this 4th floor villa (with elevator) featuring 2 BR/ 2 BA, super stylish interior, golf view, easy access pool & 5 min walk to Beach Club. 3 Smart TV's with complimentary Netflix and Bose Bluetooth sound in a "penthouse" setting. What a treat! 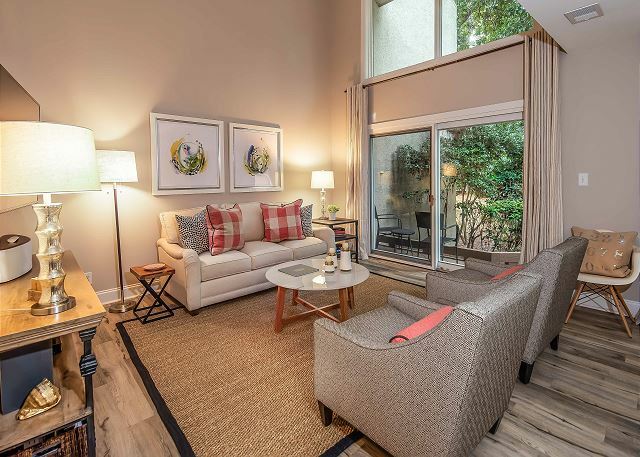 Enjoy this fully & stylishly renovated 2 BR/2 FBA villa: no carpeting, all new kitchen/baths, sweeping golf view, upgraded televisions with complimentary Netflix and Bose Bluetooth sound- plus elevator & easy access to leisure trail and pool. You will love this 3 BR/2 FBA bungalow with fully stocked kitchen, living/dining room, 4 Smart TV's with complimentary Netflix, huge deck and full time gas to grill and patio fire table. This is our original BESTNEST! Enjoy 3 BR/2 FBAs in this stylishly renovated home with open kitchen/living/dining, large deck, 4 Smart TV's with complimentary Netflix, Bose Bluetooth sound, large deck, grill and outdoor fire table. 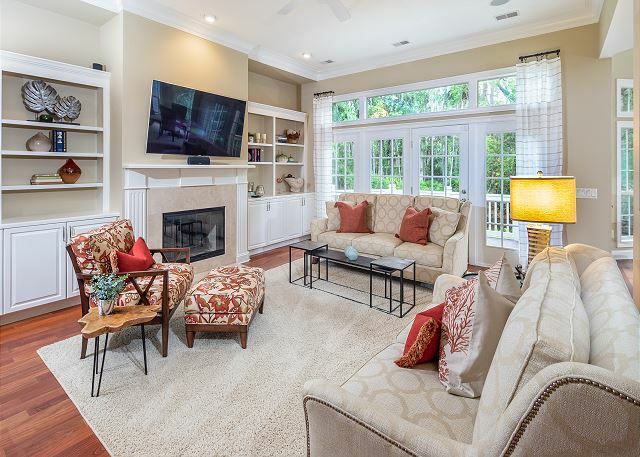 Location meets comfort in this 3 BR/3 FBA, townhouse-style villa featuring fully renovated kitchen, open living and dining, screened porch and deck with grill & 2 minute walk to pool (holiday heated) and beach. Easy, front-door parking. Most dogs welcome! This completely comfortable, pet-friendly home features 3 BR/3.5 BA house with den with twin/trundle, big open kitchen/living/dining, 5 total televisions (2 with complimentary Netflix), screened porch, deck with grill, lake view and 2-car garage. NEW! This polished and immaculately kept home features 3BR/3.5 BA, bright, open kitchen, spacious dining/living areas, 4 total televisions with Blu-Ray and Netflix in living room. Water and forest view from serene porch and deck, plus Weber grill. This newly redecorated home features 3BR/3 FBA, bright kitchen, open dining/living area, 4 total televisions including 65" Vizio HDTV with Blu-Ray and Netflix. Water view from serene screened porch and deck, plus grill with full time gas. This smartly stylish yet oh, so comfortable home features 3 BR/3 BA, all new flooring and furnishings, 5 Smart TV's with complimentary Netflix, full time gas to grill and fireplace, and nature lovers' enclosed porch. Plus big garage! Light, bright, and comfortable, this 3 BR/ 3 FBA home with high ceilings, open kitchen/living/dining, upgraded electronics, complimentary Netflix, Polk Bluetooth sound, private deck with gas grill and a 2 car garage will delight your family. This home feels like home! 3 BR/ 2.5 BA, with fully equipped kitchen open to dining, living room with vaulted ceiling and lots of light, separate den, 5 Smart TV's with complimentary Netflix, private deck with grill, plus a big garage. This villa features 4 BR/ 3.5 BA, fully renovated open kitchen, 3 levels, 5 Smart TV's with complimentary Netflix, grill, and patio with pool view. Located adjacent to Harbour Town and 3 minutes walk to Sea Pines Center.